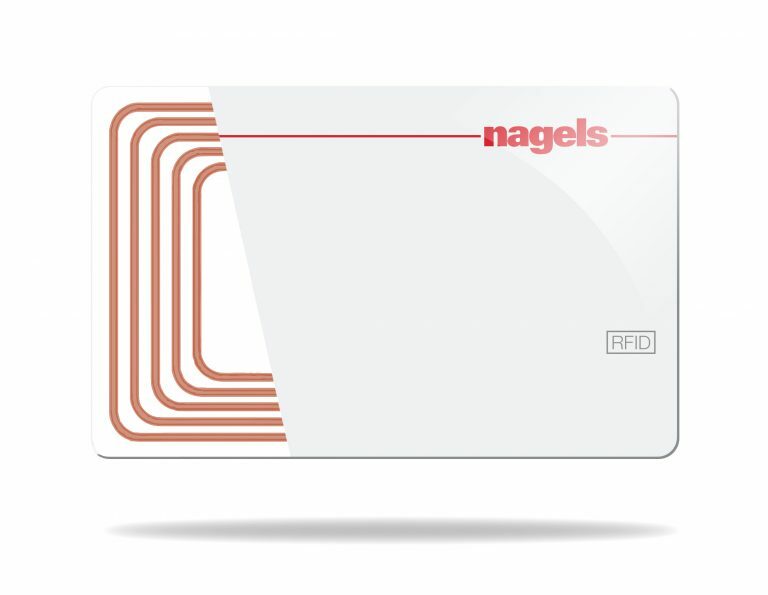 nagels supplies a wide range contactless smartcards featuring IC technologies from our main supply partners and market leaders. We supply clean cards which are anti-static treated, shrink wrapped into packs of 100 cards per pack and packed into boxes containing 500 cards. RFID cards use electromagnetic fields to transfer data remotely and securely at a distance or with the tap of a card to make things as simple and comfortable as possible for you and your users. One of the big advantage of RFID is the ability to use a single card for multiple applications further increasing its flexibility. Our cards can be supplied as blank white cards or pre-printed. We also provide a print personalization and encoding service as well as automated fulfilment and mailing services to support bulk issuance and steady state turn over from a single card to over 500,000 cards per week during peak periods. We also work to ensure that 100% of the cards we supply are functional at the point of encoding. Once issued, our cards will be expected to have a life of no less than 5 years in normal use. When deployed for use by the public typical card failure rates are low, being around 0.5% of the card population per annum for cards under 5 years old. We can offer different types of technology depending on what you need the product to do. NFC is a specialised branch of RFID technology which was developed specifically for safe, short distance data exchange over short distances, for example pay systems and credit cards.